Yossi Klein, who wrote that Religious Zionist Jews are more dangerous than Hezbollah terrorists stands by article. Haaretz columnist Yossi Klein (not to be confused with author Yossi Klein Halevy) has refused to apologize for claims made in a highly controversial piece published Wednesday evening. In the article entitled “More dangerous than Hezbollah”, Klein slammed the Religious Zionist sector, claiming they are more of a threat than murderous Arab terrorists or the Hezbollah terror movement in Lebanon, which has killed hundreds of Jews worldwide since the 1980s. "The national religious [public] is dangerous, more dangerous than Hezbollah, more than drivers ramming their cars into people, or girls with scissors. The Arabs can be killed, they cannot. "What do they want? To take control of the state and cleanse it of Arabs. If asked, they will deny it ... They know that it is too early to be so obvious. Do not believe their denials. Their religious nationalism is extreme nationalism, enveloped in a pious reverence. It permeates the education system, is getting stronger in the army and affects the Supreme Court. They are already on their way to us, another moment and they break down the door. "I have more in common with the Eskimo of Alaska than with all the [national-religious leaders] and everything they represent. What do I have to do with Smotrich? What have I got to do with Israel Harel? What do I have to do with those who want to achieve freedom for themselves at the expense of someone else's freedom? He did not mean us, but we are the ones who will have to get used to it," adds Klein. Israeli leaders, including Prime Minister Binyamin Netanyahu and Education Minister Naftali Bennett (Jewish Home) blasted Klein and Haaretz over the article. "The article in Haaretz is disgraceful, and they have lost it completely: The national religious public is the salt of the earth, its sons and daughters serve in the IDF and the National Service for the State of Israel and for Israel's security. I am proud of them like most of the citizens of the country," Netanyahu wrote. 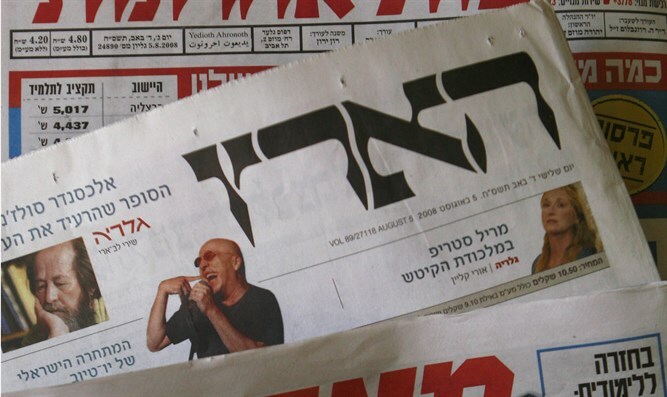 "Haaretz should apologize." But on Thursday, Klein doubled down on his claims during an interview with Army Radio.